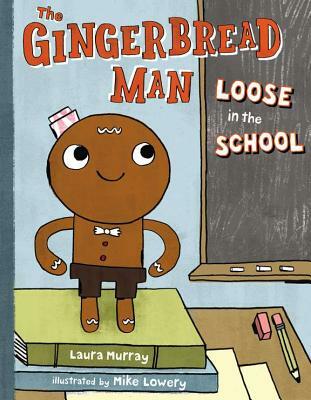 There’s a really interesting post over at Joy Chu’s Got Story Countdown blog about the making of the picture book THE GINGERBREAD MAN LOOSE IN THE SCHOOL. The post gives a really interesting inside look at all that happened after she took that idea and turned it into a manuscript. Illustrator Mike Lowery (love his stuff!) and art director Cecilia Yung discuss their role in developing this title from manuscript to picture book. This entry was posted in Uncategorized and tagged Cecilia Yung, Got Story Countdown, Joy Chu, Laura Murray, Mike Lowery, The Gingerbread Man Loose in the School. Bookmark the permalink. Wow, I’ve never seen such a thorough description of the whole process, with all the cast of creators involved. Thanks, Audrey, for the link! Thanks for sharing this interview. It was so informative and a nice example of why it can take so long for a book to be revised and published. Thank you for your kind words, and the shout-out, Audrey. Incidentally, I am crazy about your schoolin’ Buffalo! Priceless observation of life-in-early-school, between the lines 🙂 Cheers! Thanks for stopping by, Mary, Cathy and Joy….and thanks too for the kind words!